The involvement in a multibillion U.S. dollar casino resort scheme on Vietnam’s central coast could put one of its investor – Macau junket investor Suncity Group – in a “better position” to win a Macau gaming licence in the event a seventh licence is issued, suggests brokerage Union Gaming Securities Asia Ltd in a Monday note. The brokerage said additionally that the Vietnam casino resort scheme, branded as “Hoiana”, could potentially generate “Macau flagship levels” of VIP gaming volume. Hoiana – in which Suncity Group’s Hong Kong-listed entity is to acquire a 34-percent stake – is located to the south of Da Nang in nearby Hoi An. 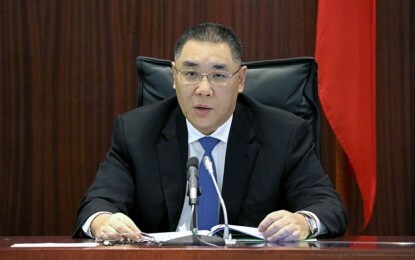 “In regards to the licence rebid process in Macau, Suncity’s Hoiana will put them in a better position to win a licence (in the event a seventh licence is issue) not only because Suncity will be a bonafide integrated resort operator with local roots, but that licensing Suncity would also repatriate VIP dollars to Macau where it provides a benefit to the local community (i.e. 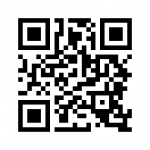 tax receipts),” said analyst Grant Govertsen. Macau’s current six casino concessions are due to end on various dates in either 2020 or 2022. Investment analyst covering the gaming industry have mentioned the possibility of the Macau government introducing a seventh concessionaire to the market. The Macau government has commissioned a study on the possible development of the city’s gaming sector in the period between 2020 and 2030. The study would also look into how many gaming licences should be issued once the concessions of the six current Macau operators expire. According to Union Gaming, Suncity’s transition to “becoming a casino principal” brings a few risks to Macau’s gaming market, as the company will be in position “to redirect a real amount of VIP volume to Vietnam beginning next year”. The brokerage estimates that Suncity has a market share of nearly 50 percent of the Macau VIP junket business, suggesting “they account for [about] 20 percent of total gross gaming revenue in the [Macau] market”. For full-year 2017, VIP GGR in the Macau market was approximately MOP150.67 billion (US$18.7 billion), up 26.7 percent on the MOP118.96 billion registered in full-year 2016, according to official data. The first phase of the Hoiana project “remains on track for a mid-2019 opening,” according to Union Gaming’s memo. The Monday note was issued following a recent visit by the brokerage to the Hoiana site and a meeting with the management of the project. The cost of the first phase of Hoiana is expected to be US$650 million, said the brokerage. The first phase of the scheme is expected to launch with 140 gaming tables and 1,000 “slots/electronic gaming table seats”. It will also include a 313-room “mass-market hotel”, 136-room all-suite hotel and 70-room hotel villa resort, golf course, as well as 30 villas and 236-unit condo-hotel – both for sale and on a timeshare basis, according to Union Gaming’s note. In its Monday note, the brokerage gave the gaming performance of Hong Kong-listed NagaCorp Ltd’s casino resort in Cambodia, NagaWorld, as a comparison to the projected gaming earnings of Hoiana. NagaWorld’s VIP rolling chip turnover for 2017 jumped 142.4 percent from a year earlier to approximately US$21.1 billion; the rolling chip turnover generated at the casino resort amounted to US$10.1 billion during the fourth quarter of 2017. Suncity is opening VIP facilities at Naga 2, part of the NagaWorld Complex, on March 1. “It demonstrates that Macau-flagship-like levels of rolling chip volume can be generated even in places like Cambodia. With this in mind, and in the context of Suncity being the dominant global VIP junket and Suncity’s Hoiana integrated resort being of very high quality, there is no reason Hoiana can’t similarly generate Macau flagship levels of VIP volume (if not higher),” said Union Gaming’s Mr Govertsen. 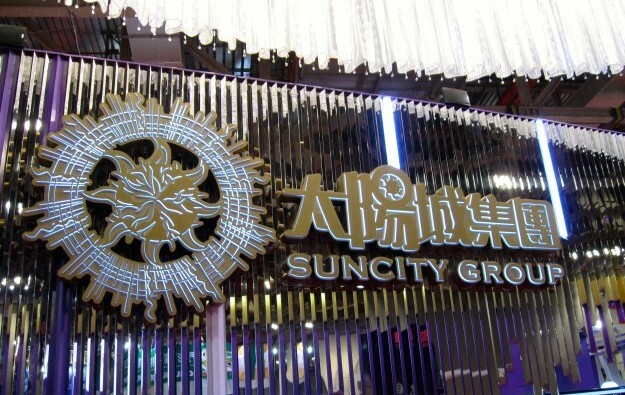 Suncity is to receive fee income via pre-opening consulting services for the Hoiana project, plus the income to be derived from a 10-year management agreement to run the gaming and food and beverage portions of the casino resort scheme, according to the Union Gaming note and Suncity’s previous filings to the Hong Kong bourse. The junket operator also has a management relation to a Van Don integrated resort project. The Van Don casino resort property – being promoted by Van Don Sun Joint Stock Co – is “one of the two integrated resorts in Vietnam that will be part of the locals [gaming] pilot”, the brokerage noted. It had been reported in the Vietnamese media in November that locals would be allowed to gamble at some Vietnamese casinos starting from December.